is a Primary and Secondary SpLD Practitioner/Teacher qualification which is ideal for a wide range of education professionals including teachers, teaching assistants and other practitioners based in a classroom setting. Providing the knowledge, skills and understanding for teachers and teaching assistants to support learners with dyslexia to develop spelling skills. Although the focus is on how to nurture the development of spelling skills in learners with dyslexia, the approach will benefit a wide range of learners struggling to acquire effective spelling skills. DACPD99 is not in any of the general pathways but can be swapped out for another unit in certain circumstances. Be qualified classroom teachers or teaching assistants and be currently (or recently within the last 2 years) employed to work with learners in the primary or secondary education fields in the UK. Have a minimum English language ability level such as IELTS 6 or TOEFL 60-78 points. When can I start, how do I apply and how much does it cost? Book before 24 April 2019 to join our next cohort. The Primary and Secondary SpLD Practitioner/Teacher qualifications form the first part of the CPD pathway working towards gaining the Level 5 Diploma in Strategic Teaching Support for Dyslexia and Literacy (DADIP61). Completion of DADIP61 will confer eligibility for Associate Membership of The Dyslexia Guild (ADG) recognised as the first grade of professional membership for a specialist teacher/practitioner. 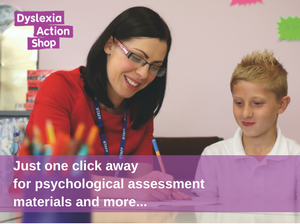 The Level 5 Diploma in Strategic Teaching Support for Dyslexia and Literacy (DADIP61) is also accredited by the British Dyslexia Association for Approved Teacher Status or Approved Practitioner Status (ATS/APS) and approved by The CPD Standards Office.